Everyday computer maintenance is at your fingertips when you choose Ultimate PC Care. 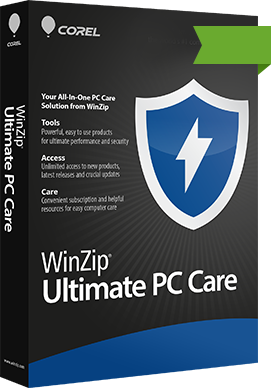 Enjoy the power and convenience of WinZip’s PC performance and security tools in one all-inclusive subscription. Diagnose and revive your PC back to like-new stability and performance. Seek out and remove threats on your PC to protect against identity theft. Update and restore your drivers to enjoy a faster PC performance. We believe your time is too valuable to be wasting it on computer frustrations. That’s why we create powerful, one-click solutions to take care of your daily PC needs. Try our range of performance and security tools to keep your computer running like new.